Brown Bear® 7.62x39, 125 - grain Soft - Point Bullets Perfect for plinking or target practice! Need to stock up? This Brown Bear® offering is the right choice! Muzzle energy: 1,633 ft. lbs. Get yours right here at The Guide! Order ONLINE Now! 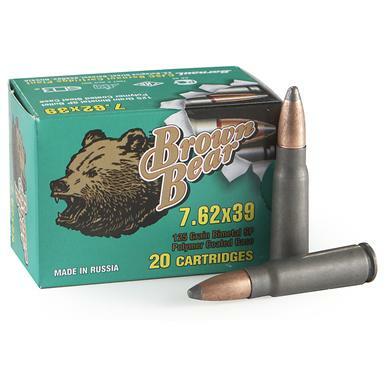 Brown Bear, 7.62x39, SP, 125 Grain, 120 Rounds is rated 4.7 out of 5 by 11. Rated 5 out of 5 by MARTIN from THE PRODUCT WAS EXCELLENT FOR SKS. 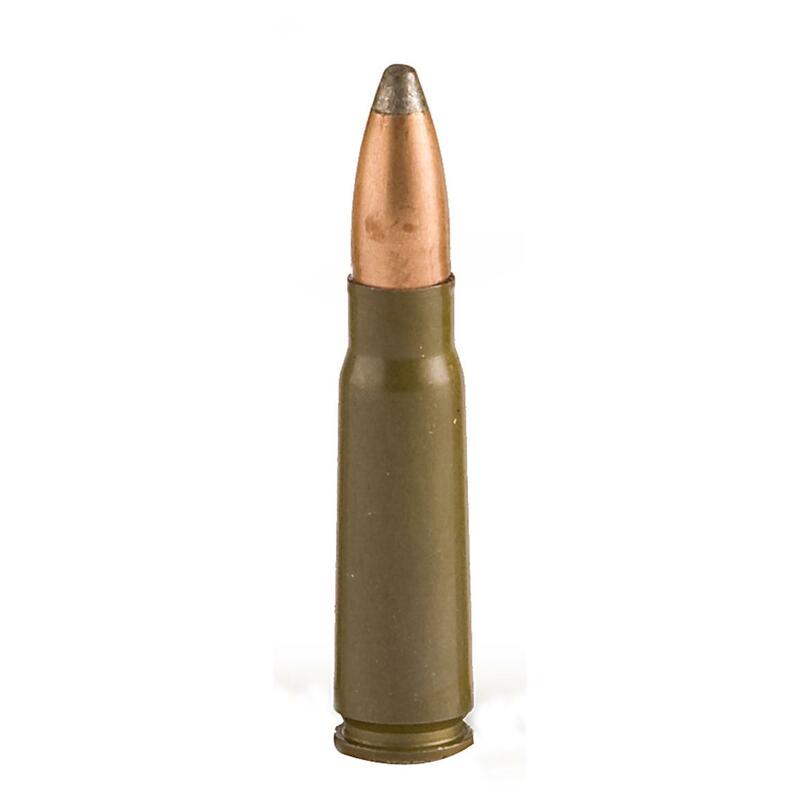 Rated 5 out of 5 by FREDERICK A from flawless ammo very clean and accurate, highly reccomend for any ak shooters. Rated 5 out of 5 by FREDERICK A from good hard hitting accurate ammo . very clean. Rated 4 out of 5 by TIM from Good cheap ammo.